To adapt to all steps of your life, you might need to rearrange your house by adding sanitary facilities or a new bathroom. Saniflo products allows you to these installations easilly and without big works. Any question ? Our After-Sales Service is here for you. The historic inventor of SANIBROYEUR® forged its expertise through time. Discover the history and values of SFA Group. What is a SANICUBIC Lifting station ? SFA introduces the new generation of IP 68 floor-mounted SANICUBIC lifting stations. These robust liftings stations equipped with a grinder system (except the SANICUBIC 2 XL) adapt to a wide range of sanitary fixtures (for black and grey waste water). 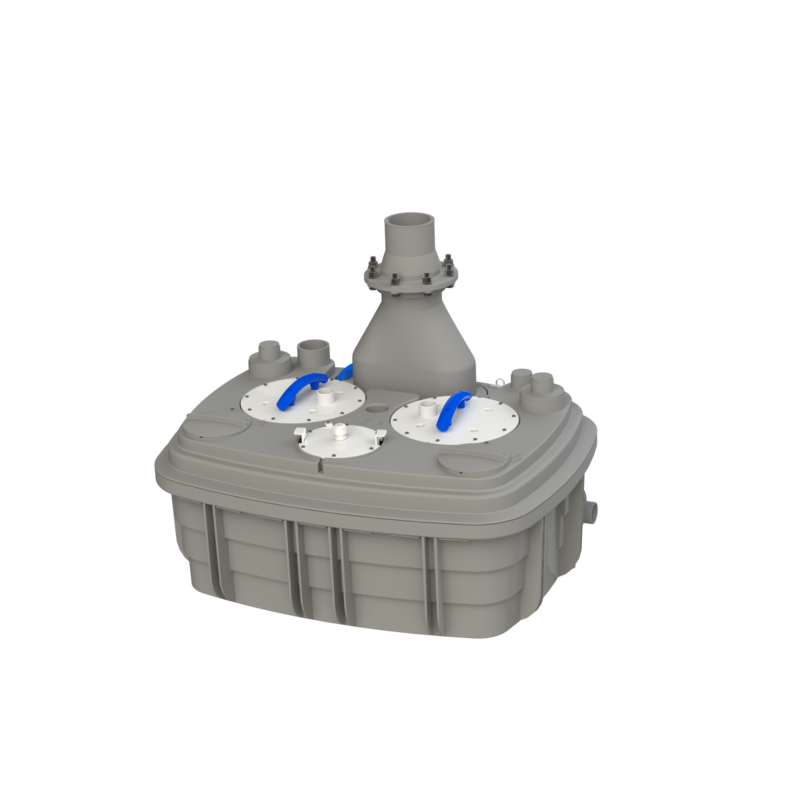 Thanks to this grinding system, the SANICUBIC allows evacuation in smaller pipes (DN 50). Equipped with either 1 or 2 motors and an alarm system, SFA's SANICUBIC guarantees continuity of service in large domestic and commercial situations. WHERE TO USE A SANICUBIC LIFTING STATION ? Specially designed to accept black and grey waste water (hot and cold), the SANICUBIC lifting station can accept mutiple sanitary fixtures. 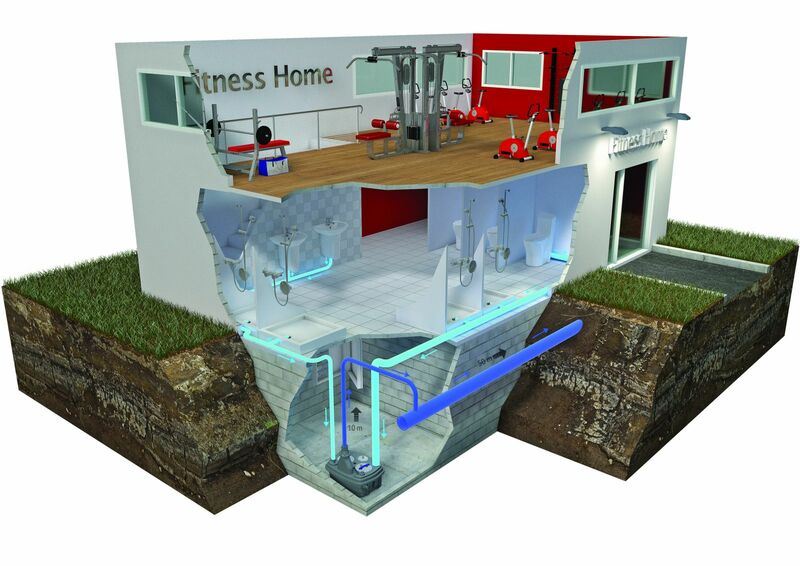 Ideal to replace the conventional sump pump system (submersible pump placed in a tank), the SANICUBIC lifting stations can be connected to multiple bathrooms, kitchen and laundry room. To find out which SANICUBIC Lifting Station you need, click on the the LIFTING STATION SELECTOR. Install a commercial shower room with toilets, washbasins and showers in the basement of a fitness center. The main drainage pipe is located on the upper level. 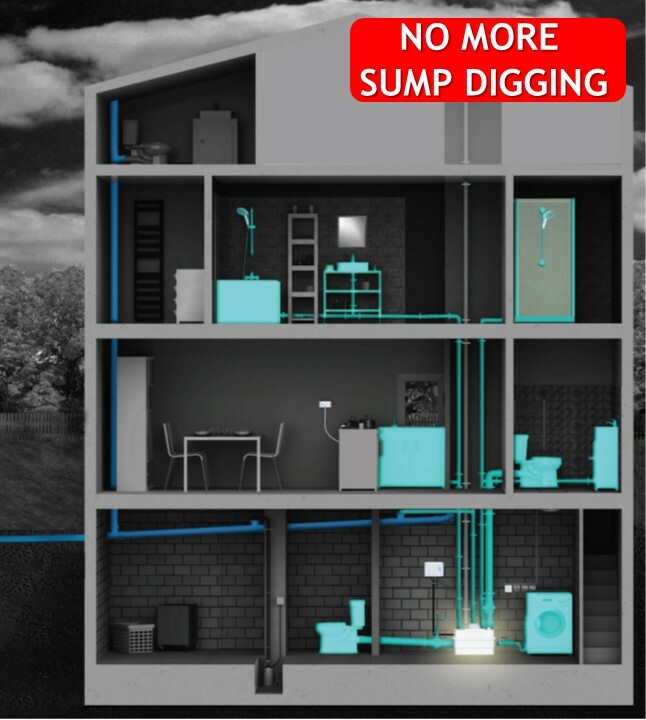 The floor standing IP 68 SANICUBIC 2 XL avoided the costly and time consuming actions related to the installation of a sump pump system. This high-capacity lifting station (up to 40 m3/h and 120 L tank) perfectily suited the intesive commercial use and managed successfully the 10 m discharge height.